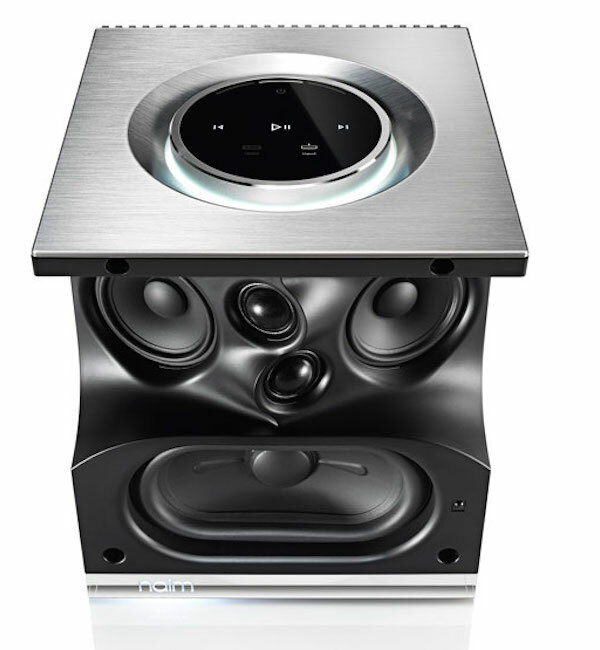 Naim has just announced the second model in its Mu-so line of all-in-one wireless music systems, the £595 Mu-so Qb. 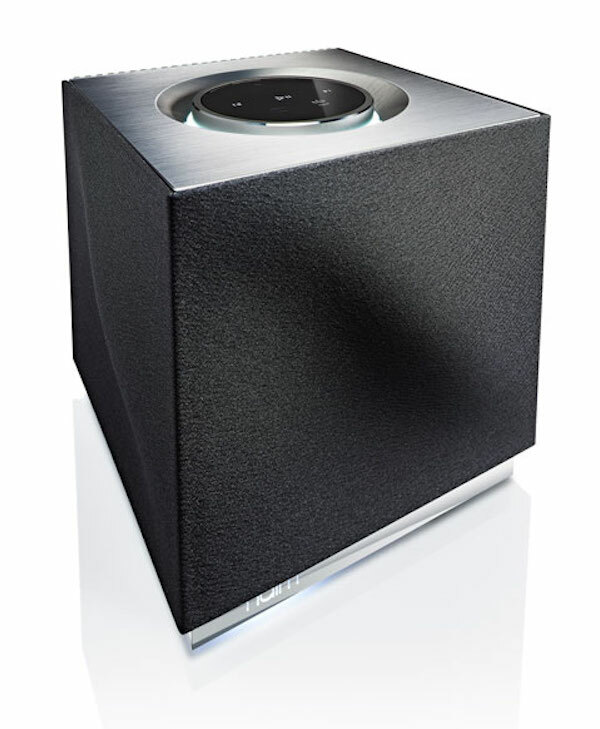 Named for its cubic shape, the new model is taller than the original Mu-so, launched some 18 months ago, and is designed to fit into smaller spaces, either as a first Naim system for newcomers to the brand or as a second-zone speaker for owners of the Mu-so or Naim’s ND- and Uniti models. Due in shops in March , the new model uses a glass-reinforced polymer chassis, to which are mounted the multiple drive units, the top-panel complete with the same touchscreen controller as used on the original model, and the amplifier and processing modules attached to the rear heatsink. The drive unit complement here is slightly simpler than that on the Mu-so, using a single oval woofer, two midrange drivers and a pair of tweeters. The size of the enclosure means the long bass-tuning port of the original Mu-so was too large, so two tuned pistonic bass radiators are used, one on each side of the enclosure. DSP control is used to tune the built-in amplification to the needs of the drive-units – the Qb has one amplifier channel for each driver, with 50W each for the midrange and treble drivers, and 100W for the woofer – and a wrap-around grille covers three of the vertical faces of the enclosure. Black comes as standard, with optional grilles available in the same colours as the Mu-so options: Burnt Orange, Vibrant Red and Deep Blue. Also optional is a remote control, although the Qb, like the original Mu-so, is best controlled using the free Naim app on either iOS or Android tablets and smartphones. New for the Qb, but applicable to the ‘full-size’ Mu-so too, is the ability to operate as a ‘master’ for multiroom operation of up to five Mu-so, Uniti or ND- products – previously the Mu-so could only be used as a ‘slave’ or extra zone device. Otherwise the functions of the Qb are the same as the Mu-so itself: it has Wi-Fi and Ethernet connectivity, and also offers both AirPlay and Bluetooth/aptX wireless. It can play content stored on a network-connected storage or computers via UPnP, and also has Internet radio, Tidal and Spotify Connect. Content at up to 192kHz/24-bit can be played, while physical connections to the rear extend to optical digital in, USB-A for portable devices and drives, and a 3.5mm stereo analogue input. The Mu-so Qb stands 21cm tall, is 21.8cm wide and 21.2cm deep, and weighs 5.6kg. The result of an extensive development process and close co-operation with Naim’s manufacturing partner, it’s designed to build on the huge success of the original Muso. 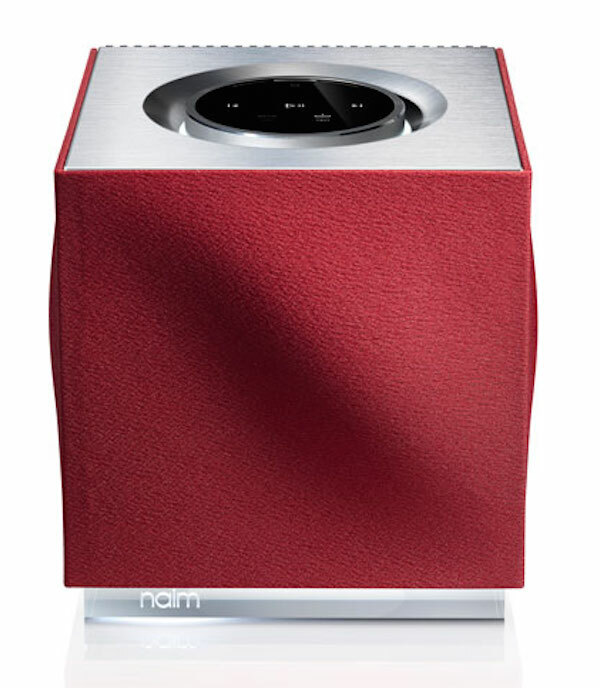 When the original came out, I hoped Naim may try and enter the less expensive end of the market. It would have been interesting to see just how far the other manufacturers could be blown out of the water in the £250 – £450 price zone. This new model gets nowhere near those prices of course and It’s questionable whether people who can afford to buy this, would worry too much about the money and may as well get the original for £250 (ish) more. It is very boxy, and I kinda like the look of it but just wonder slightly who it is pitched at. Too expensive for many folks ( a bit like the original ). Let’s not forget, Bluetooth speakers are generally not thought of as serious, quite expensive pieces of hi-fi. And not cheap enough for an impulse buy, from a customer streaming low bit rare music from a mobile. I hope it does well for Naim though, as I like what they are all about. Maybe the mistake is in describing it, as Naim does, as a ‘wireless speaker system’, especially as it’s rather more system than just speaker. I also think the different shape will give it an appeal for those locations where an original model Mu-so wouldn’t fit, such as in kitchens, etc..
@Neil Porter I bought a MuSo for a second house. I am moderately wealthy 50-something bloke. I wanted Airplay, Bluetooth USB, and internet radio in a stylish box. Something suitable for people renting my house, approaching ‘proper hifi’. In a way, a modern music centre. Price is not key to guys like me. The sub 500 quid market is very competitive, so why fight it out there. To be honest, the MuSo isn’t very engaging to my ears and lacks any EQ to improve it. I actually prefer my Minx Air 200s, while my ancient A60 + HB2s + Marantz streamer is miles better, as is my ARCAM Solo with Monitor Audio speakers and Marantz streamer. The one box setups still lack stereo separation for my money. ← Technics SL-1200G turntable – giving the customers what they want?